Distributing your products calls for smarter transport management. You are not shipping just one package a day, but more likely dozens, hundreds or maybe thousands. Planning and monitoring these shipments is very time-consuming and can you, even then, always find the best option for every single shipment? ShipitSmarter offers you a system, entirely tailored to your specific needs, to find your way in the jungle of carriers, each one of them with their own specialties and fees structures. We at ShipitSmarter only want one thing: allow you to organise your transport management in the best possible way. To us, the best possible way is with maximum effectiveness and efficiency. We offer end-to-end excellence, taking all aspects involved into account. Our transport management solution has it all: not only the basic processes of booking, label printing and track & trace (using all shipment details necessary for unparalleled ease), but also fee and rate management, financial management and carrier management. With ShipitSmarter, you only need one tool to manage all operations required for smoother and smarter shipping. In our team, IT and logistics professional join forces, offering you the best of both worlds. 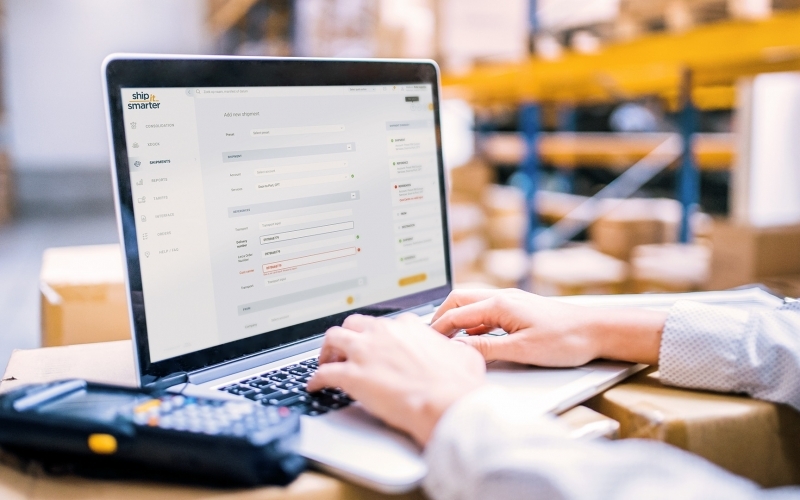 Our advanced software provides a step-by-step simple and efficient process, making sure that your shipment is delivered at the right place, at the right time and at the best possible price. With ShipitSmarter, you take excellence and cost-efficiency in your logistics performance to the next level. As you improve customer service and regain control of your processes, all involved will benefit: you, your customers, your suppliers and your service providers. That is our promise and commitment to you. At ShipitSmarter, we are unbiased towards carriers and use only your contracted terms and conditions to present you with the best possible shipping option. We monitor every step of the process for you: from creating and booking the shipment, through successful delivery to ultimately auditing the carrier invoice. Are you tired of wasting your time in the jungle of carriers?